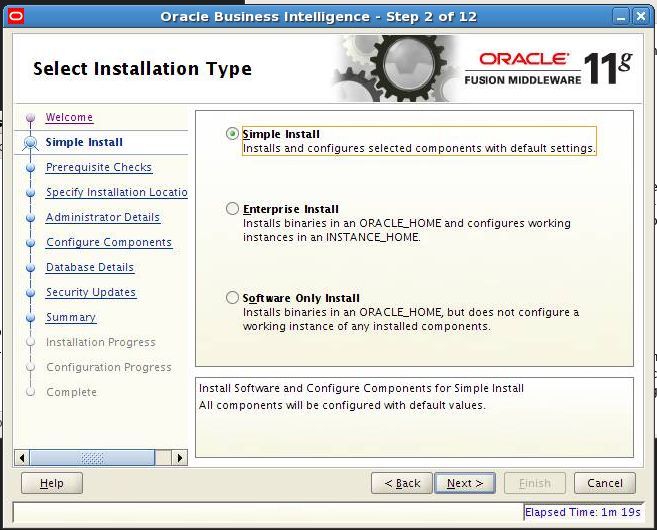 Choose the Simple Install type and click Next. 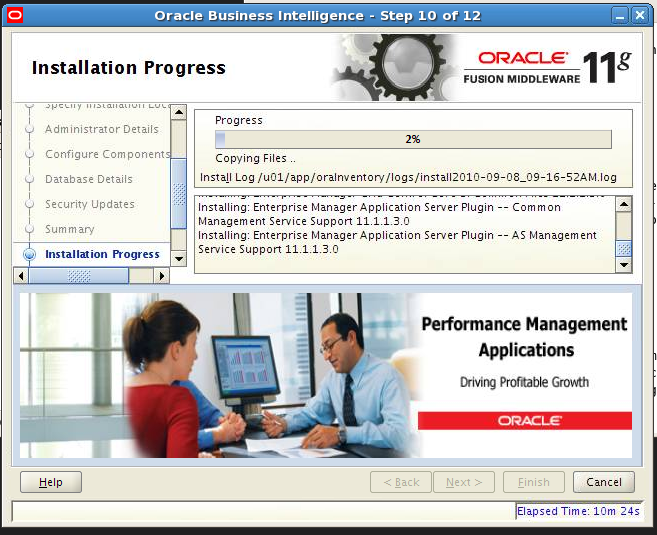 If an error message appears, fix the error and then click Retry to run the prerequisite check again (recommended). Repeat this until all prerequisite checks conclude with no errors. Click Browse to navigate to the directory and click Next. 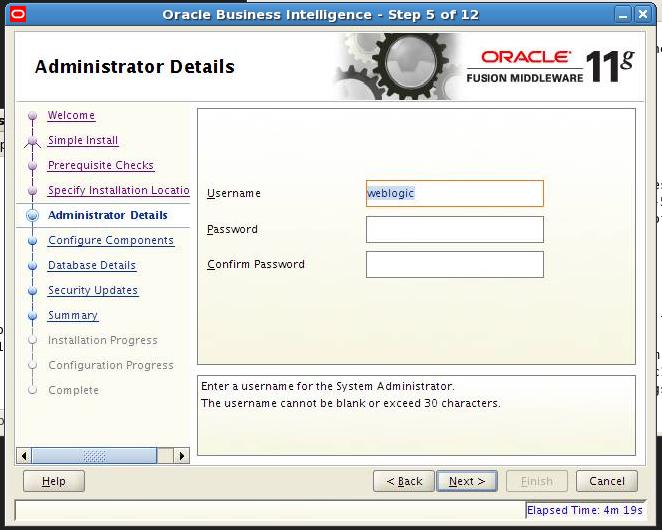 Specify the user name and password for the system administrator. 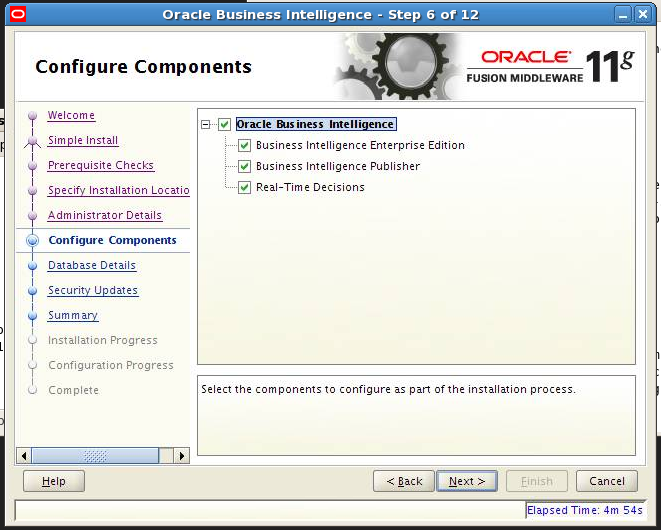 By default, all components are configured. 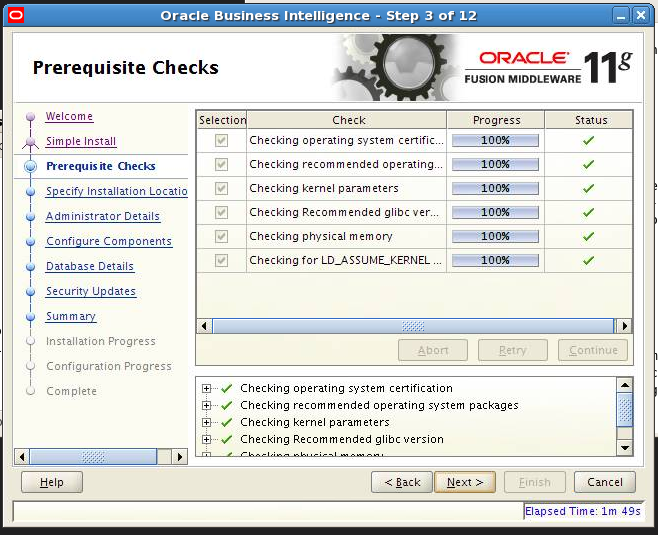 Leave all items checked and click Next. 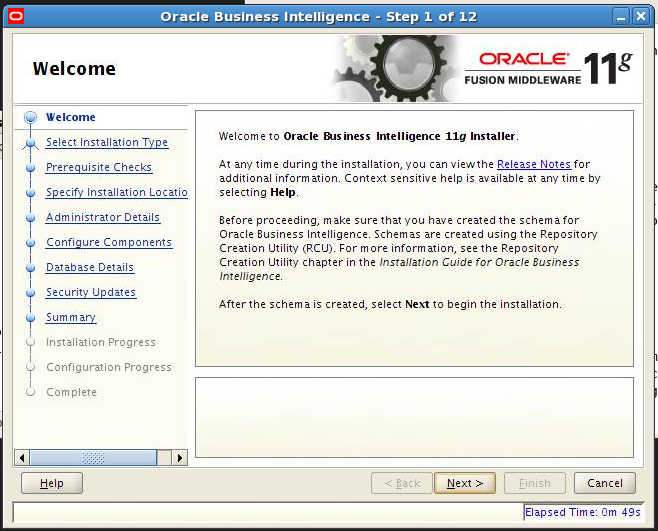 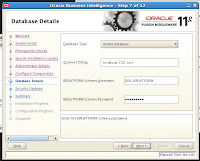 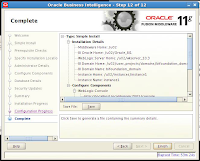 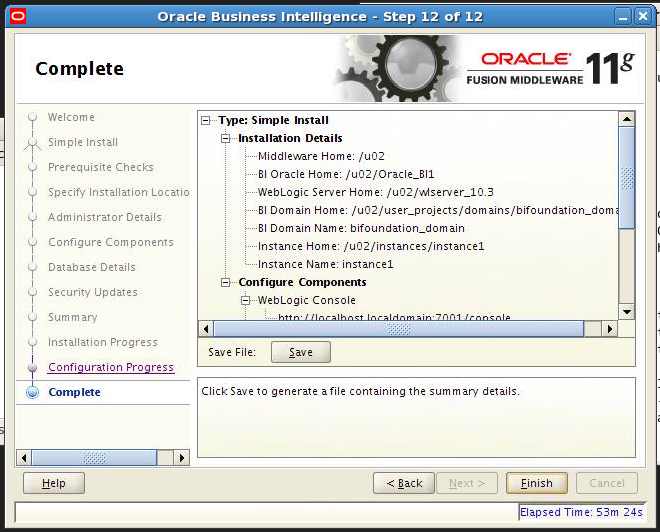 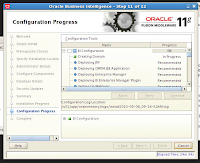 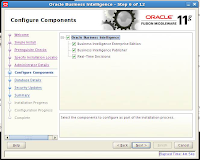 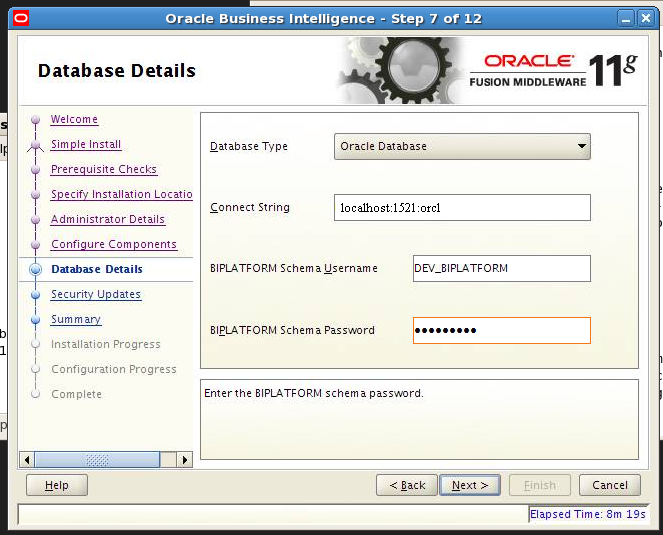 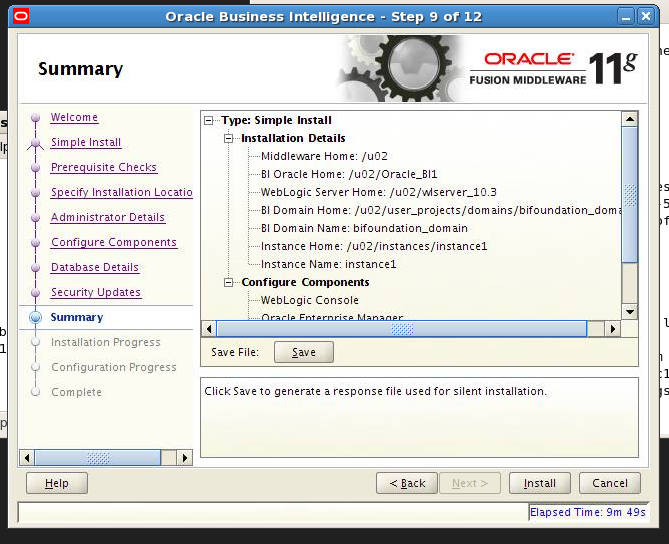 Specify the database type, the connect string, and the username and password for the Oracle Business Intelligence schemas you created in your database using RCU. 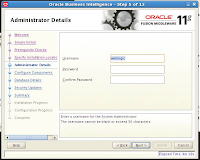 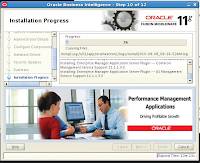 Specify your My Oracle Support email address and password (optional). Click Next when the installation is complete. 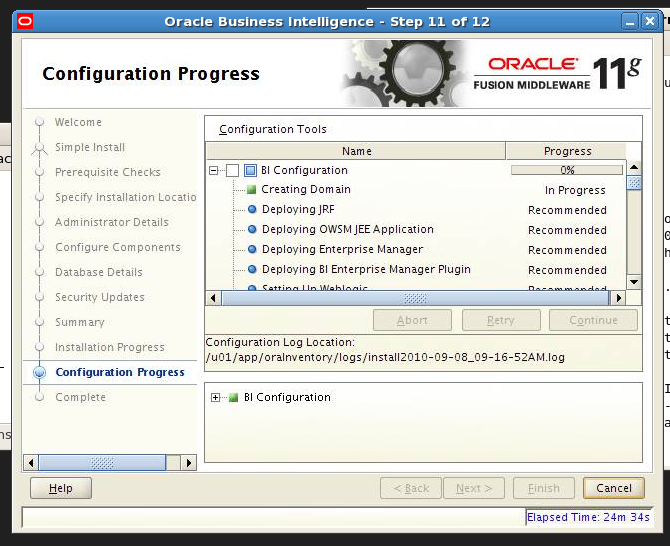 Click Next when the configuration concludes without any errors or warnings.